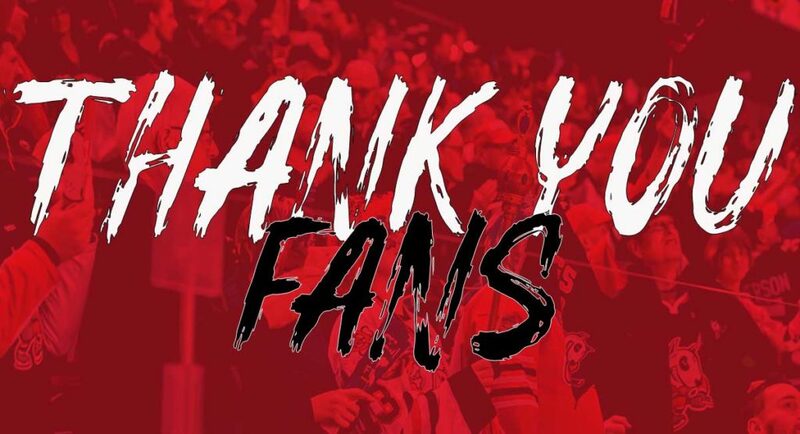 The Niagara IceDog returned home Saturday night for Game 5 in front of a sold out crowd in the Meridian Centre. 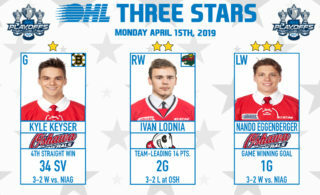 After disappointing games in Oshawa, the ‘Dogs came out looking to get back to the style of play that was working for them at home. 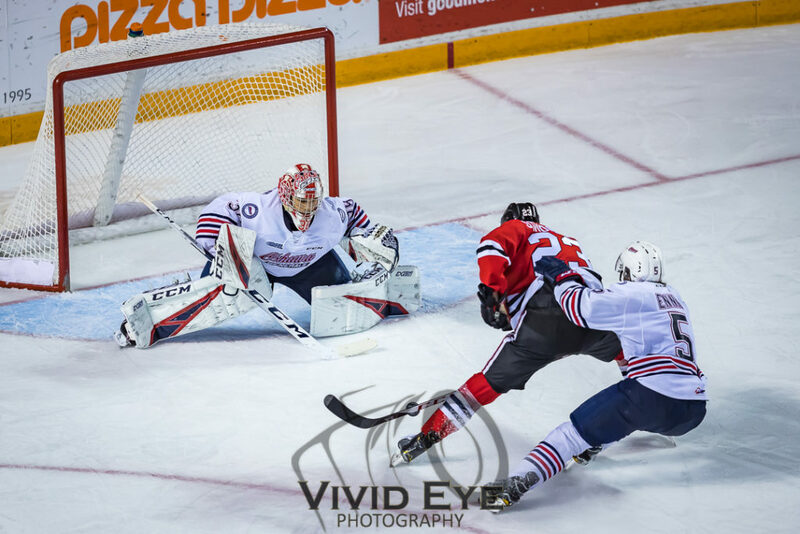 The Generals drew first blood late in the 2nd period, but Stephen Dhillon followed it up with an incredible poke check in tight to keep the IceDogs within one heading into the third period. Early in the final frame of regulation, while on a power play, Matt Brassard found Akil Thomas along the wall who made a cross-ice pass to Jack Studnicka, who scored a power play goal from the slot to tie the game up at 1! The Generals capitalized on a power play of their own to re-gain the lead. 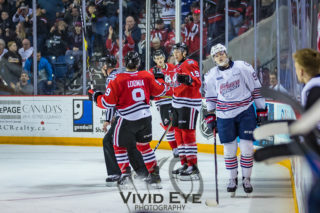 Despite outshooting Oshawa, and pressing hard in the final minutes of the game, the IceDogs fell in Game 5, making Game 6 even more important. The IceDogs will have Jason Robertson back on the ice on Monday, giving them a complete line-up for the first time in several months this season. Game 6 is incredibly important to our season, and we need your support!! 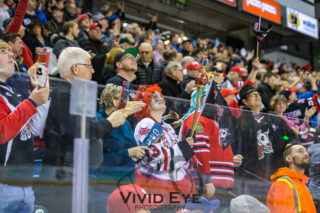 IceDogs Fan buses are going to Oshawa to cheer on our ‘Dogs!